Since 1986, Mr. Douglas L. DeSantis has been involved in leasing, brokerage, tenant site selection, development and land assembly of commercial properties in the State of Florida. Mr. DeSantis has enjoyed success in professionally representing local, regional, national and institutional investors in their pursuit of real estate investments. His expertise and passion for the industry gives him the competitive edge for his clients. Prior to the formation of Strategic Realty Services, LLC, Mr. DeSantis served as Broker / Associate for a South Florida commercial real estate company where he specialized in retail leasing, investment sales, tenant site selection and land sales. His past professional experience includes joining his family’s real estate business where he specialized in commercial retail leasing and management. Mr. DeSantis was also employed by RAM Realty where he specialized in national tenant site selection, leasing and commercial development, during which time he located and assembled multiple sites for RAM’s primary build-to-suit tenant, Walgreen’s. 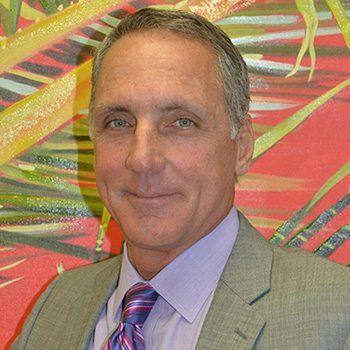 Mr. DeSantis is a native of South Florida and has been a licensed and active Florida real estate broker for over 20 years. He resides in North Palm Beach, Florida with his two children Bradley and Julian.